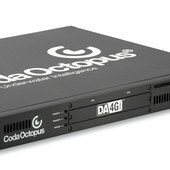 Survey Engine® Mosaic+ :: Coda Octopus Products Ltd. 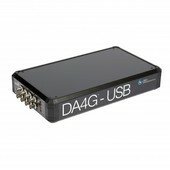 The most productive and integrated sidescan mosaicking solution for the marine survey industry. 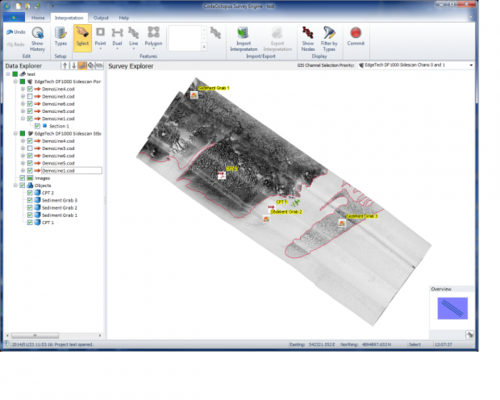 Survey Engine® Mosaic+ is the most productive, integrated sidescan mosaicking solution for the marine survey industry. Built with twenty years of experience of producing leading geophysical survey solutions, Mosaic+ incorporates an extremely powerful data rendering engine that can cope with huge data sets at full resolution. Coupled with an extremely intuitive user interface and full integration with the existing Survey Engine applications (Seismic+ and Sidescan+), Mosaic+ allows the user to produce the highest quality mosaics and feature interpretations in the shortest of timescales. 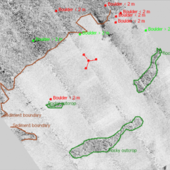 Sidescan+ builds on the basic capabilities of Survey Engine®, and adds a set of tools for processing, interpreting and reporting on sidescan sonar data. 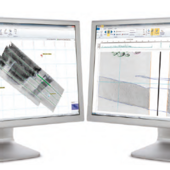 Combined with Survey Engine® Mosaic, to give the most productive integrated sidescan mosaicking solution. Limited to 250 line kms of data for smaller project users. 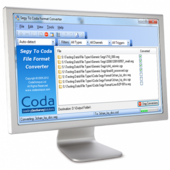 Bundled offering of Seismic+, Sidescan+ & Mosaic+ for the complete post processing solution at an attractive total price. Limited to 250 line kms of data for smaller project users. 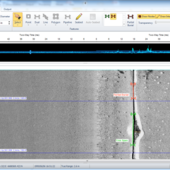 Sidescan+ builds on the basic capabilities of Survey Engine®, and adds a set of tools for processing, interpreting and reporting on sidescan sonar data. Combined with Survey Engine® Mosaic+, to give the most productive integrated sidescan mosaicking solution. 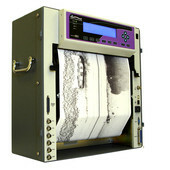 Bundled offering of Seismic+, Sidescan+ & Mosaic+ for the complete post-processing solution at an attractive total price. Unlimited line kms of data for larger projects.